“I was on the bus on my way to work at the restaurant. I had been a waitress for two years, the longest job I’ve ever held… because I was sober. I couldn’t stop staring at the man across the aisle from me. All I could think was, ‘Am I about to lose it all?’"
Maria told Roberta what was going on. Why did her old drug of choice suddenly seem so tempting? 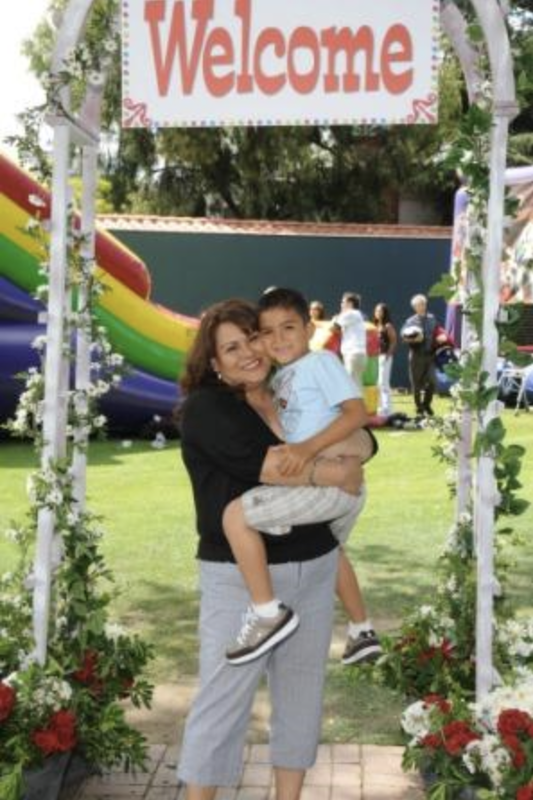 She had come so far in the last three years: entering drug rehab as a single mother of her two-year-old son Danny; moving out to sober living, then into transitional housing; and finally moving into her very own place with Danny with the help of Imagine LA. Now she and Danny had their own bedrooms, belongings and everything Maria needed to make her home a quiet and safe place for her little family. It has been over four years since Maria graduated from Imagine LA’s program. Danny is thriving at a wonderful local school, where Maria volunteers. They have a safe, comfortable place to live. Maria and Roberta slowly talked things through. The sounds of the restaurant faded while Maria focused on her current situation. As they talked, Maria realized that although transitional housing had sometimes been chaotic and difficult, her current independent housing – better on paper – made her feel alone. She wasn’t used to being alone with her son as a single mother so much of the time. She hadn’t been attending her 12-step meetings consistently because her apartment was not close to the meeting she liked. She wasn’t used to the new neighborhood. She felt isolated. They searched for solutions together. Could Maria use more frequent visits from her mentor team? Could she use some babysitting for her son Danny so that she could have some time to visit with friends? Did she need a ride to her 12-step meetings? Would Maria like Roberta to come explore the neighborhood with her? Within the week, all of this was accomplished. After a month, Maria knew she wasn’t going to feel tempted by the guy on the bus. She was going to her 12-step meetings, she’d found a coffee shop she liked in her neighborhood, and best of all, Danny now had his own personal mentor—a male role model added to her Imagine LA team who took him to museums, the zoo and Dodger games. That gave her time to reach out to her extended family, run errands, and clean the apartment. It has been more than four years since Maria graduated from Imagine LA’s program. Danny is thriving at a wonderful local school, where Maria volunteers. They have a safe, comfortable place to live. Maria bought her first car and is building a savings account for their future. She knows she’s not alone.